Plan vacation or business trip with eTravel.com and take advantage of cheap rates on flights booking, airline tickets, and lowest airfares for Boston. 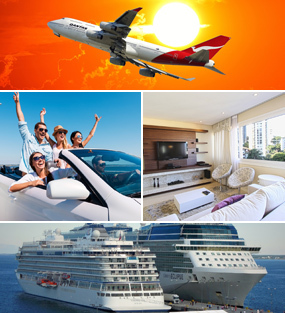 Search cheap flights to Boston, find and book single or multi-city destination flights. On this page we give you information and glimpse of visiting places in Boston, Massachusetts, United States. Boston is one of the oldest cities in America. The city’s history is showcased in its museums and architecture. The first thing you need to do when you get here is walk the Freedom Trail. Then absorb the art at the Gardner, marvel at old neighborhood architecture and dive into the best cannoli outside of Italy. Finally, you need to experience a Red Sox game from the bleachers with hundreds of baseball fans cheering as one voice. For a summer worth the tourist rush and the soaring temperatures, you need to be a major fan of baseball and high energy concerts. To avoid large crowds during the summer head over to Boston towards the end of summer. To avoid the tourist season altogether, you can come down to Boston during the winter season. It’s also the best time of the year to score amazing deals on accommodation. How to Save When on a Boston Tour? In Boston you can save a lot if you make smart investments. The best one is a CityPASS, it can reduce the price of popular tourist attractions in the city. Plan a winter escape to Boston to get the best deals and impressive discounts during the months from January to March. Travel by subway with a MBTA Charlie Card, it should help you get cheaper travel. Also trade in cab rides for bus rides to get around the city. For great eats head over to local diners, pizzerias and steakhouses. You’ll enjoy a hearty meal at a low price compared to the high end restaurants.